Wedding season is upon us, but have you found ‘the one’? No, no, we’re not talking about the person at the other end of the aisle, we’re talking about your other love… you know, your wedding fragrance. The scent that you choose for your big day is arguably the most important olfactory purchase you’ll ever make; it’s the scent that’ll transport you right back to that emotional, fun-filled day every time you spritz it, and keep your memories burning bright. Like all things in life, finding the one isn’t always easy – but we’re here to help. From the 15th to the 22nd June we’re playing fragrance matchmaker by helping to pair you up with your dream scent in our #ScentToBe event. No matter whether you’re the bride, the groom, a bridesmaid, or a guest, set us the challenge to find your perfect wedding fragrance on Twitter or Facebook and we’ll do the rest. PLUS, 3 lucky participants will win their fragrance match as a wedding gift. So what are you waiting for? 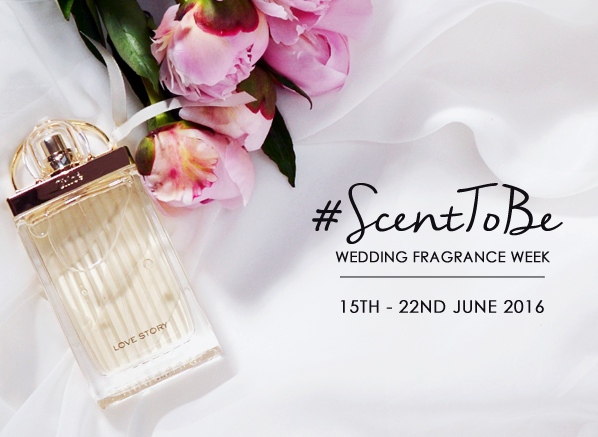 Leave us a question on Twitter or Facebook this week for a bespoke recommendation, and you could win your perfect wedding fragrance! Competition ends 22nd June. Usual T&Cs apply. This entry was posted on Tuesday, June 14th, 2016 at 12:45 pm and is filed under Fragrance, Special Post. You can follow any responses to this entry through the RSS 2.0 feed. You can skip to the end and leave a response. Pinging is currently not allowed.